The Index continues forming diagonal triangle pattern. On the minor wave level, the market is forming the fourth wave. I’m planning to open several buy orders as soon as the price starts forming an initial ascending impulse. More detailed wave structure is shown on the H1 chart. 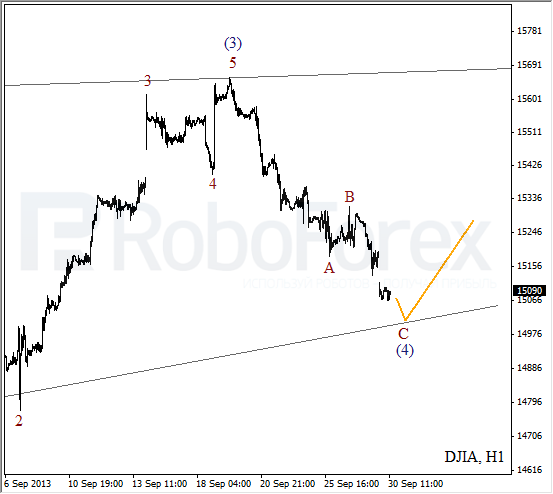 Wave (4) is taking the form of zigzag pattern with wave C inside it. Most likely, the instrument will continue moving downwards for a while, but then the bulls will return to the market. The correction continues and takes a more complicated form. 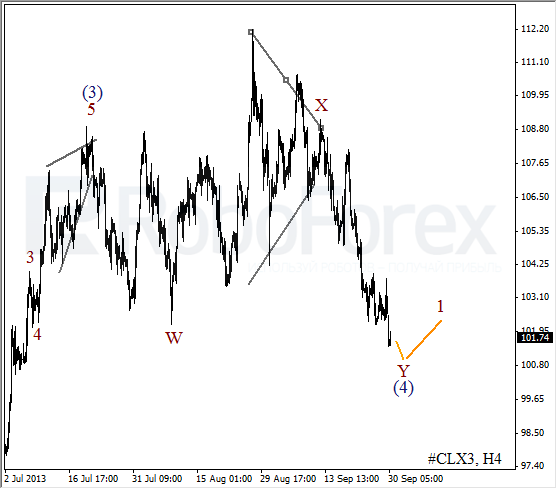 We may assume that Oil is forming wave (4) in the form of double three pattern. 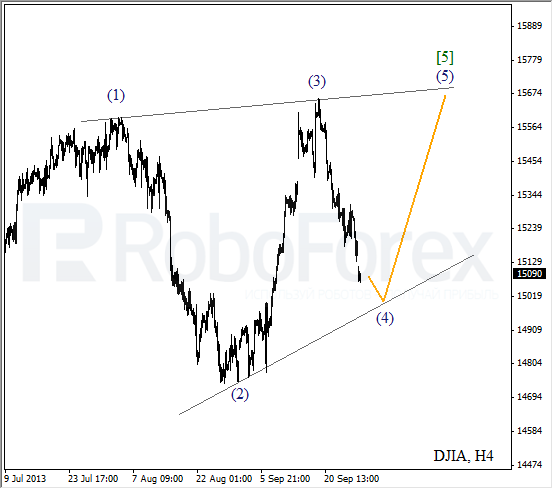 I’m planning to open several buy orders right after the instrument completes a bullish impulse on the minor wave level. 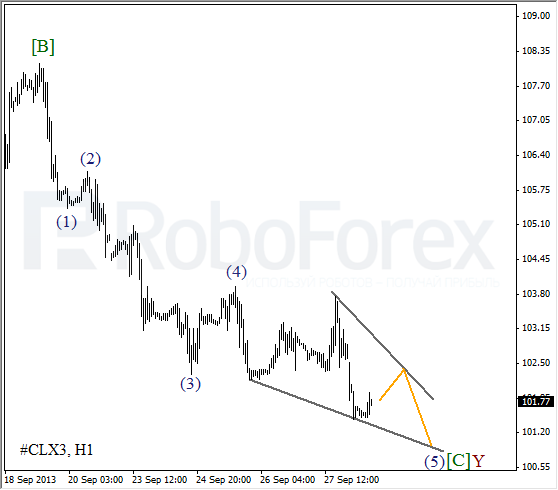 As we can see at the H1 chart, the price is forming is forming diagonal triangle pattern inside the fifth wave of wave [C]. We can’t exclude a possibility that the instrument may break the minimum. Later, I expect the price to make a reverse and start moving upwards.